Select item(s) to ADD TO CART, then CHECK OUT by entering shipping address and make payment via iPay88. 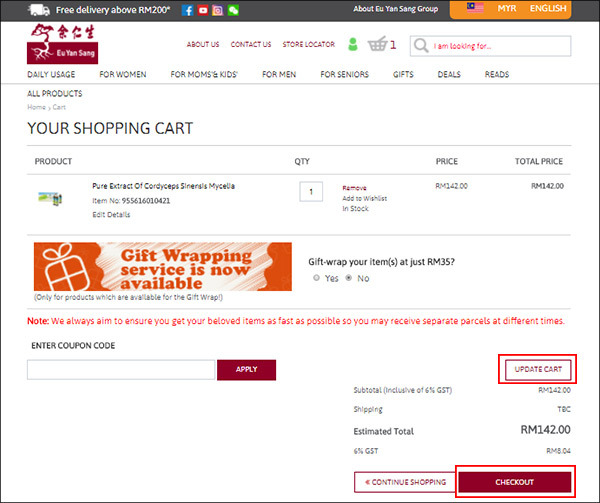 STEP 2- Click CART at the top of the page to check your total number of items ordered. 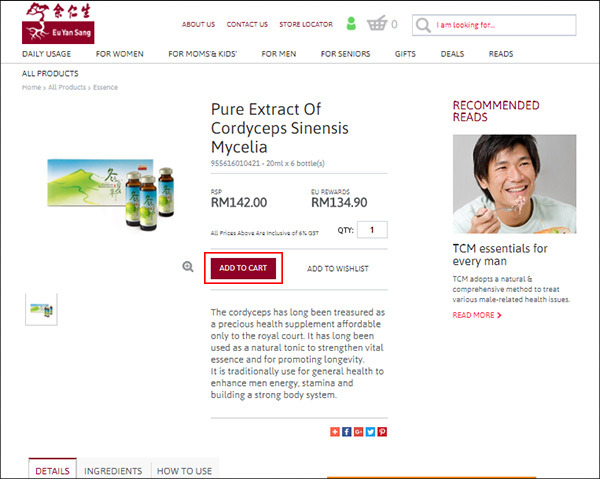 STEP 3- Check your item(s) and click View cart to view your final list of items or click Check Out.